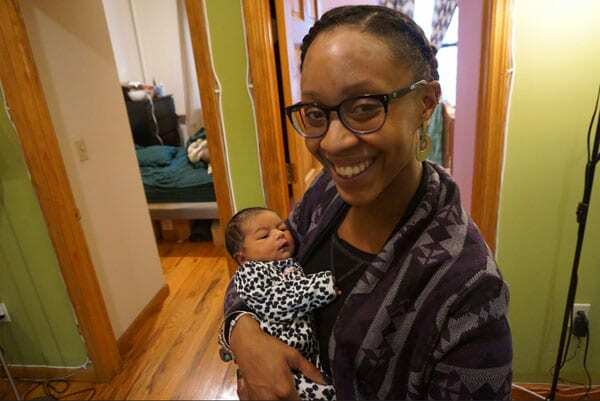 The persistence of high maternal and infant mortality rates among Black women is now being addressed in a very different way in New Jersey, says Ronsha Dickerson, the doula leader for the Southern New Jersey Perinatal Cooperative’s Healthy Women, Healthy Families program. The program trains Black women to act as resources for other pregnant Black women before, during, and after birth. They are not medical professionals, but they help women get what they need in terms of information, services, and attention. Their services are free. One mother, Shanita White, says the services work around the needs of the mother. At one point last month, she says, she realized that her baby wasn’t moving, so she called her doula, who advised her to lie on her right side and drink water. There are a number of networks of Black doulas around the United States, and increasing attention has been paid to the practice as maternal and infant mortality rates in the Black community have remained far higher than in white communities—even, according to this article by Linda Villarosa in the New York Times, across class lines. This argues for far more than merely a medical approach. New Jersey Gov. Phil Murphy is a proponent of the program, which is now funded largely through the Department of Health. Murphy is proposing that the state kick in another $1 million.